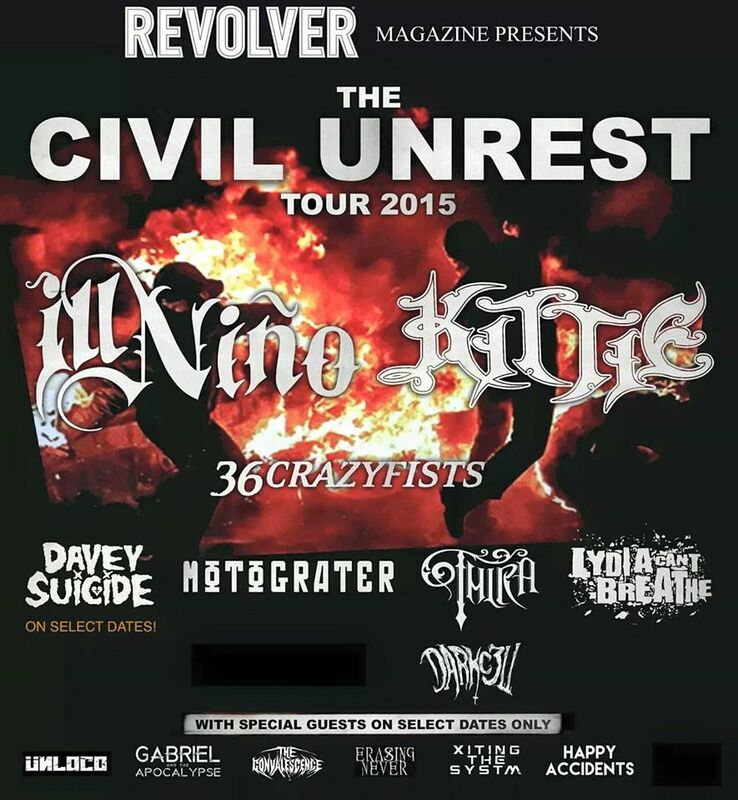 Gabriel and the Apocalypse will be appearing on select dates of Revolver Magazine’s Civil Unrest Tour 2015. Along side Ill Nino, Kittie, 36 Crazyfists, Davey Suicide, Motograter, Thira, Lydia Can’t Breathe, Unloco, and more. More details and official dates to be posted soon.